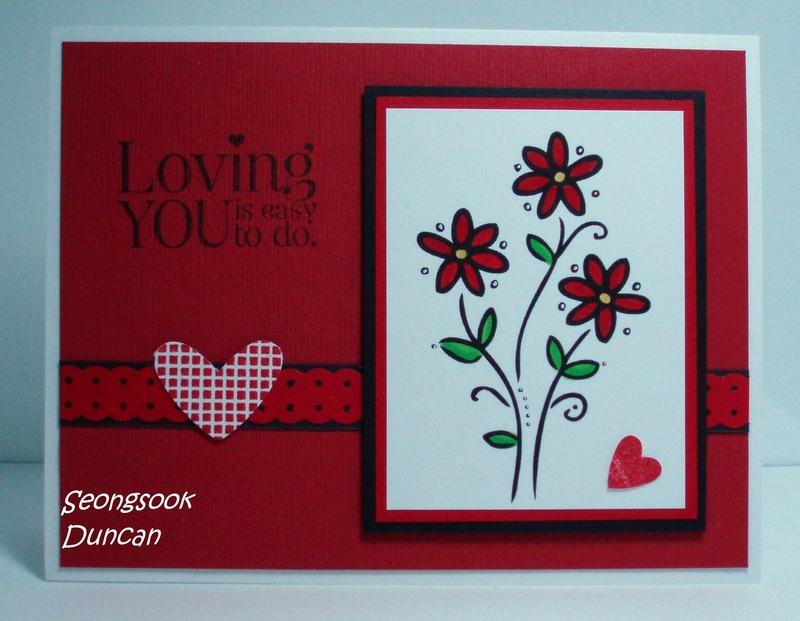 Create with Seongsook: Loving YOU is easy to do. I love your card, the colors and layout are fabulous! Thanks for playing along with us at Operation Write Home! Very pretty card with one of the nicest sentiments I've seen! This is gorgeous! I love the colors you used! Very nice layout too! A gorgeous card with a wonderful sentiment!